1. Organization is a lookup field, meaning that it refers to an actual organization in your Zendesk account. You'll want to ensure you have value(s) in your CSV column here which correspond to a valid organization which exists in your Zendesk account. 2. User (Requester) is a lookup field, meaning that it refers to an actual user in your Zendesk account. You'll want to ensure you have value(s) in your CSV column here which correspond to a valid user which exists in your Zendesk account. 3. Assignee is a lookup field, which means that it will look at the actual agents that exist in your Zendesk account. You must have the agent setup prior, they cannot be a "Light Agent", and you should have their identifying information in your CSV file (like email address, or name) which matches what is in Zendesk, in order for the mapping to work. Please note, this field is required to import tickets into Zendesk! 4. Tags is an example of a multi-picklist field. Separate the values by a semi-colon (";") to import correctly. 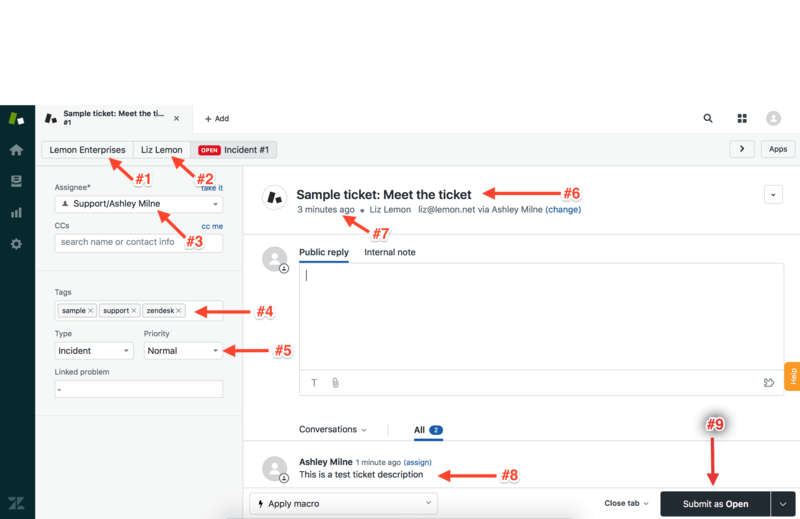 The tags do not have to be setup in Zendesk prior in order of this mapping to work. 5. Priority is an example of a picklist field. You must have the same list of options setup in the field as those that exist in your CSV file in order for the mapping to work. The same logic applies for any other picklist fields you wish to map on the ticket. 6. Subject is an open text field, so you can import any value you want to appear here. Please note, if there is no value in your CSV file, Zendesk will automatically populate the subject with the ticket description field. 7. Created at is an actual date/time field, which means that your CSV should have a valid date/time in order for the mapping to work. During the mappings step, you can select the format of the date/time in your CSV file so that is properly recognized during the import. All date/times in this column in your CSV should be in the same format. 8. Description is an open text field, so you can import any value you want to appear here. Please note, this field is required to import tickets into Zendesk! 9. Status is an example of a picklist field. You must have the same list of options setup in the field as those that exist in your CSV file in order for the mapping to work. The same logic applies for any other picklist fields you wish to map on the ticket.